The Artesia High School and Park Junior High choirs once again brought audiences to their feet last week with their annual Bulldogs on Revue. 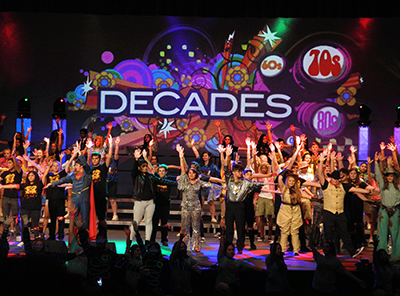 This year’s show, titled “Blast from the Past: Music through the Decades,” featured music from 1960s, ‘70s, ‘80s and ‘90s, including a tribute to Queen and solo performances of songs by Van Morrison, Fleetwood Mac, Etta James and more. See the cover of the Sunday, Nov. 11, Community Living section for additional photos.